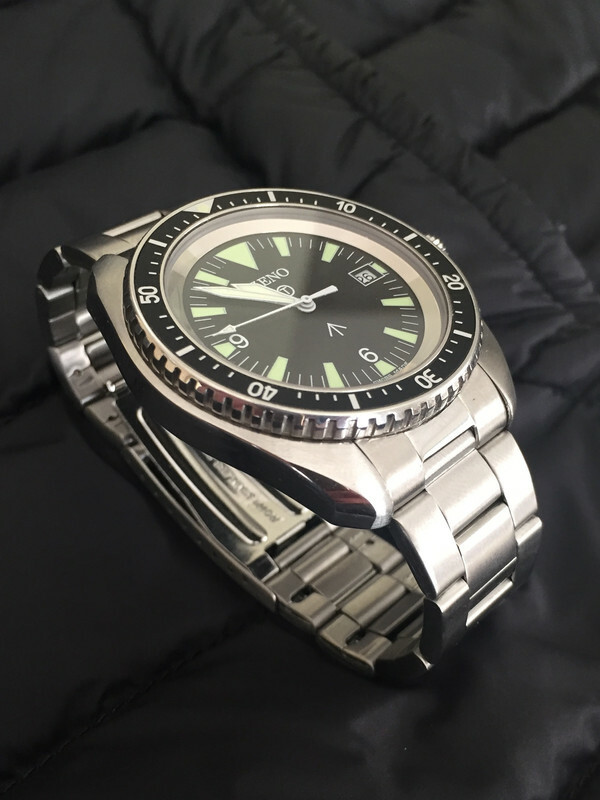 I’ve long been a fan of the mil-diver and, like a lot of other people, missed the boat when CWC prices were reasonable. 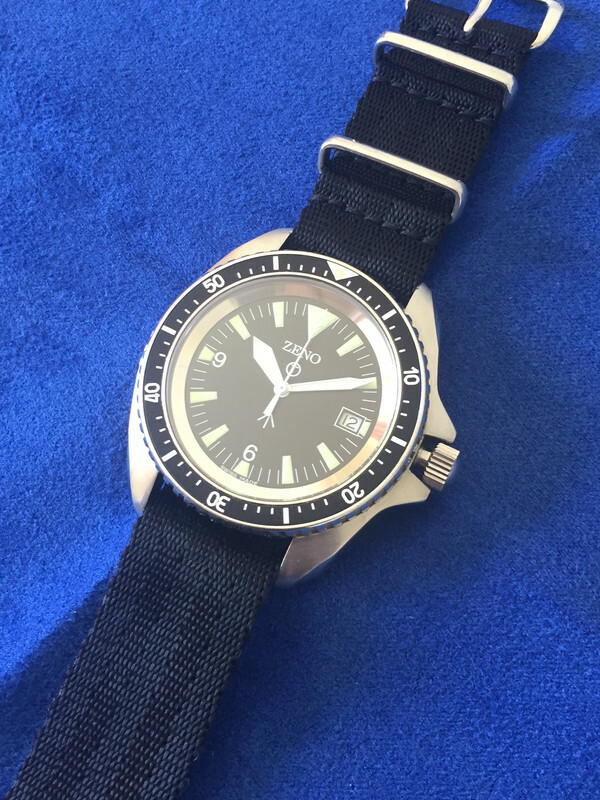 My first expensive watch was the Omega 2264 which is obviously a firm nod to a previous era of such watches. 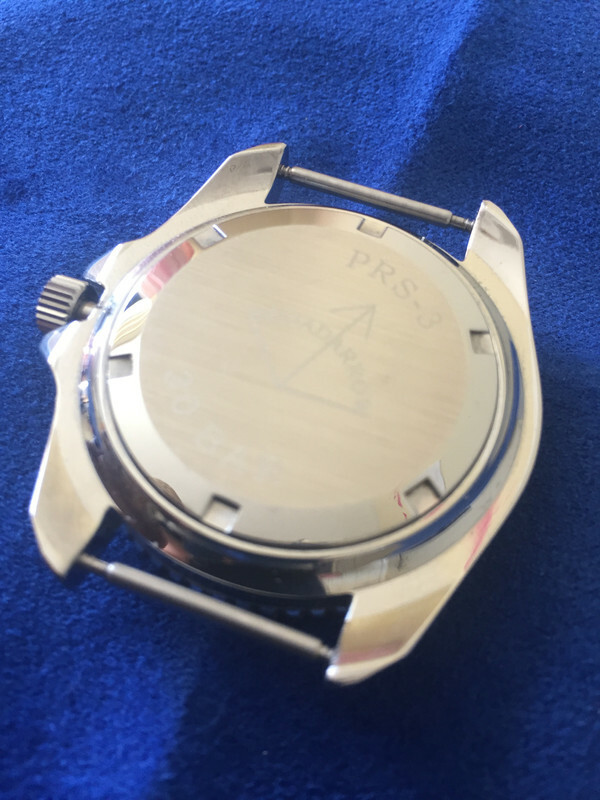 I’ve also owned Eddie’s current incarnation of the Precista branded PRS-3 which is a hell of a watch, if slightly on the large and heavy side. 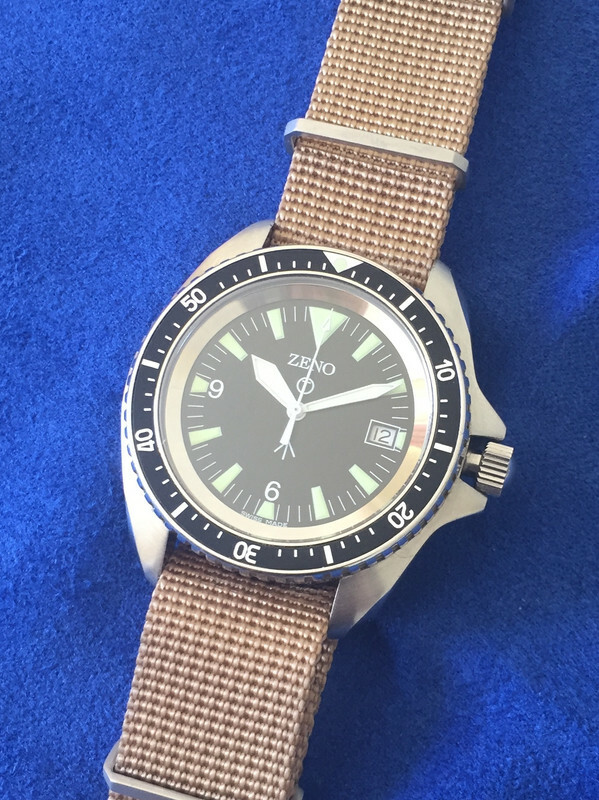 Having owned several Zeno I’ve always been very impressed with the quality of fit and finish so I can’t really explain why I’ve not bought the PRS-3 before now. Never the right time I suppose. A week or so ago I got the chance to buy one at a great price (especially when compared to the used CWC prices) so took the plunge. 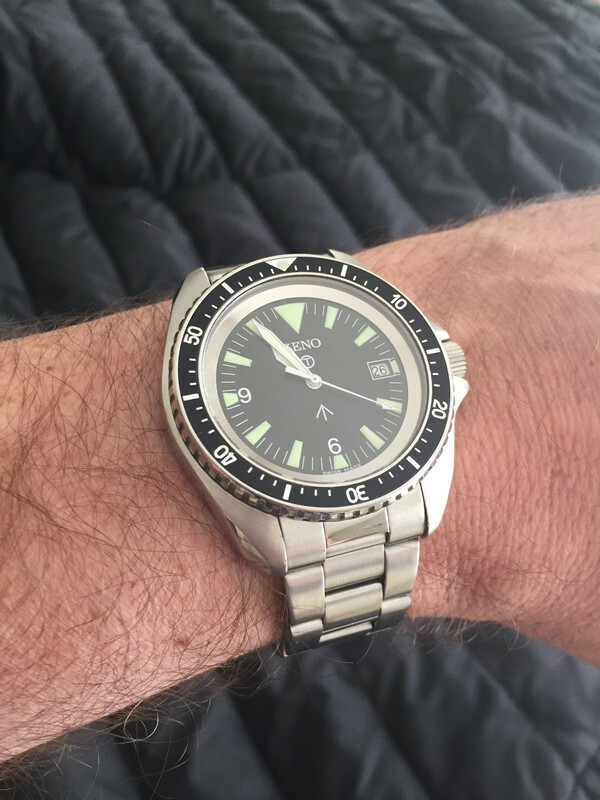 All-in-all I think it’s a fantastic little watch that represents great value for money. Are they any different from the Broadarrow version that were flying about a few years back ? I love CWC but the prices are a joke recently. Also why is the crown out ? Your observations are spot-on, David. I've handled one and it's a decent watch for the money. Same here. However, what bothered me to no end was the lack of AR on the crystal. I guess I've become spoiled by my Damasko and Citizen Chronomaster, but sapphire crystals without effective AR coating are a pet peeve of mine that can really ruin a watch for me. Agreed. Great value for money. How much are/were they ? 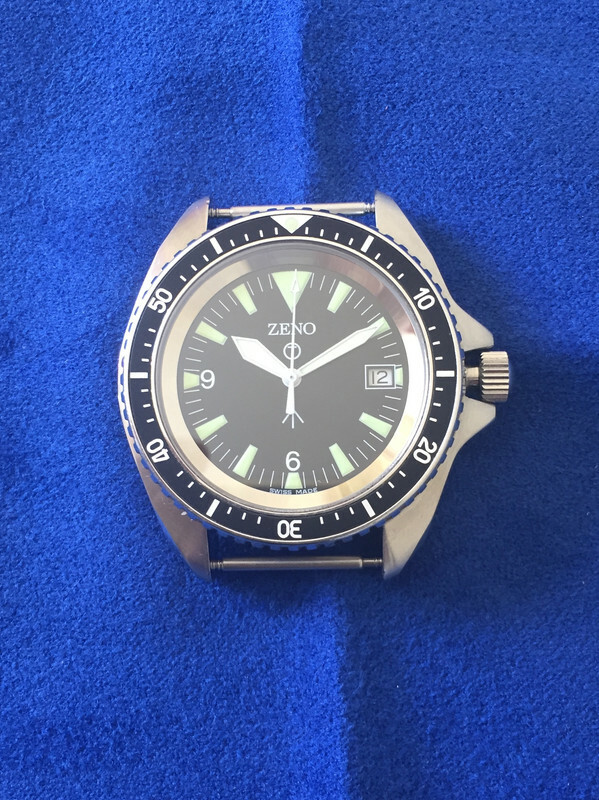 I think a few may still be available from Zeno and I think, but don’t quote me, they’re around the £250 mark. I bought mine used. 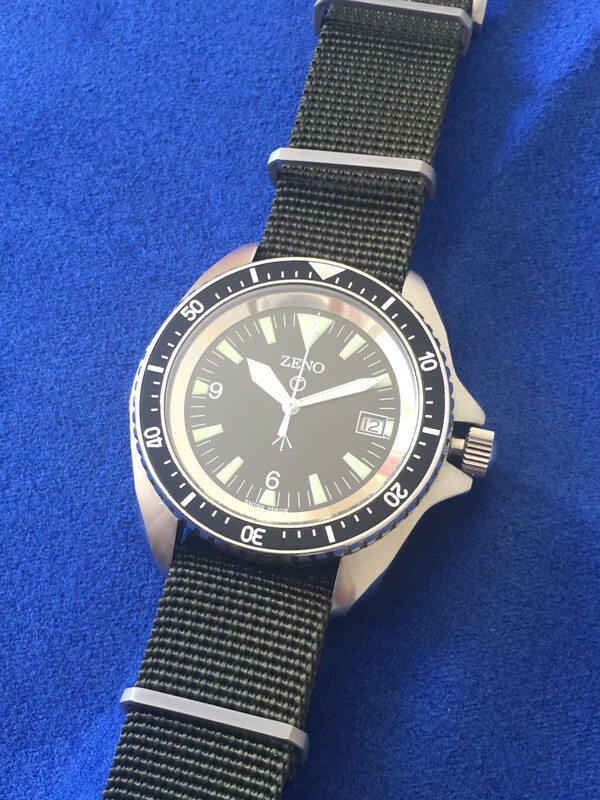 Looks excellent on the bracelet, a worthy addition to a cracking watch. David what's the quality like at £14.95? Is it solid link, solid end links? Seems very cheap. I'd like a bracelet for my PRS3 Broadarrow but not bought one for fear it doesn't fit. I would like a Strapcode model ideally. 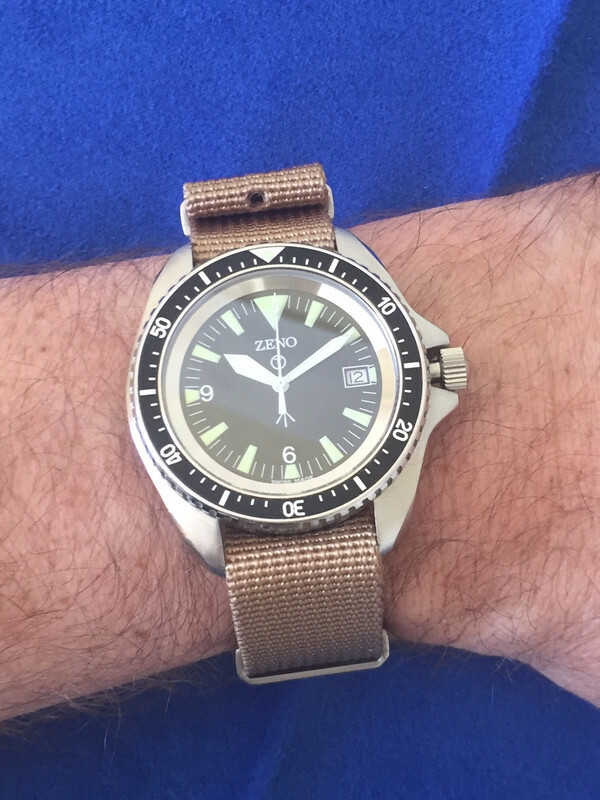 The Zeno PRS-3 is an awesome watch. 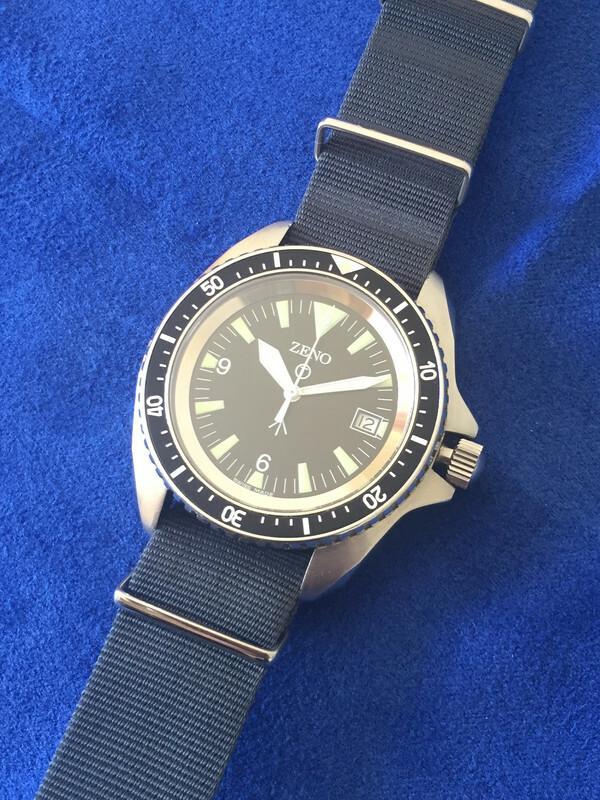 Mine is on an Isofrane-clone (Borealis) which is an excellent and comfortable fitting strap. The screw-back is still marked PRS-3, Broadarrow, 30 BAR, which raises the question whether they used leftovers from previous production runs. Lume lasts all night, not very bright but useable; however the dial is more faint than the hands. This is no problem, unlike others I think the difference in brightness between hands and dial enhances readability. 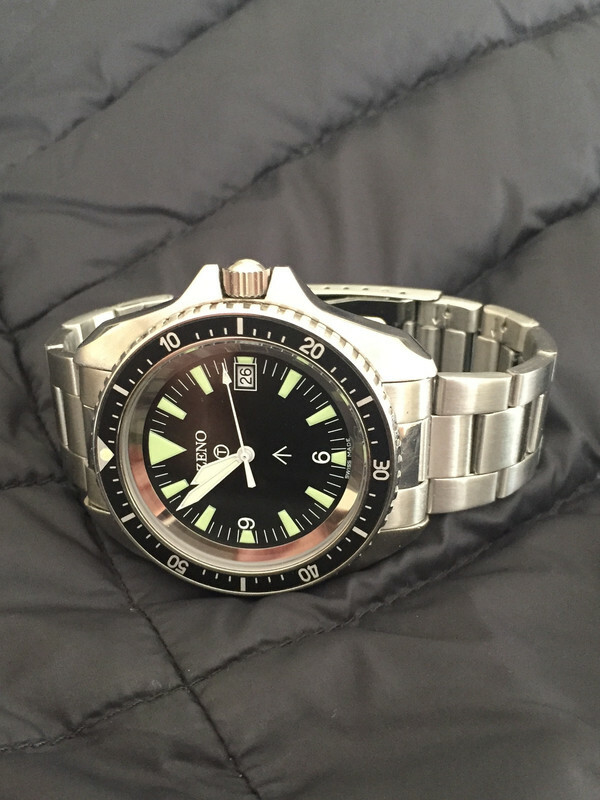 I'd rather have the T for Tritium replaced with L for Luminova, it's just fake and who needs tritium anyway. The ZENO-marking could have been a little more sophisticated. My specimen doesn't tic on the markers but gains only ca. 4 to 5 s/month which is pretty decent. Especially attractive is the highly polished stainless chapter ring combined with the wide diameter but narrow bezel, it makes the watch look smart. In short: an attractive and very useable grab-and-go watch with 10 years battery-life. Just seen this through idlebrowsing, what a cracking combo on that unbelievably cheap bracelt. Superb! I do really like these and have held back a few times on them in the sales section. I do like the PVD ones too. If they're still using the original dial blanks, "T" is correct. Essex - Hopefully on a golf course! But i'm still loving it!